Next year, the world will be reintroduced to the Power Rangers with Lionsgate rolls out their new live-action adaptation of the series. Based on the popular Mighty Morphin’ Power Rangers, the film will follow the teen heroes as they fight against an extraterrestrial threat know as Rita Repulsa, but they will still be expected to do their chores. The rangers will have to balance their heroic deeds with normal life, and that means dealing with parents and family drama. So, it’s a good thing then that one of the rangers nabbed Patrick Sabongui to play their father. The star, who is well-known for his work on The Flash, will play Trini Kwan’s father in Power Rangers. He recently took time to talk about his involvement with the movie on ComicBook.com’s Flashback show, and Sabongui was happy to share details about his character. If you are not familiar with Trini Kwan, then you should know the heroine is one of the gentler rangers. The martial artist was introduced to fans when she and her friends Jason Lee Scott, Zack Taylor, Billy Cranston, and Kimberly Hart are gifted special powers to fend off alien threats. Her skills in combat and high IQ made Trini one of the team’s biggest assets, and fans quickly came to love the Yellow Ranger because of the character. Saban’s Power Rangers follows five ordinary teens who must become something extraordinary when they learn that their small town of Angel Grove - and the world - is on the verge ob being obliterated by an alien threat. Chosen by destiny, our heroes quickly discover they are the only ones who can save the planet. But to do so, they will have to overcome their real-life issues and before it’s too late, band together as the Power Rangers. The film is being directed by Dean Israelite and was written by Ashley Miller and Zack Stentz. 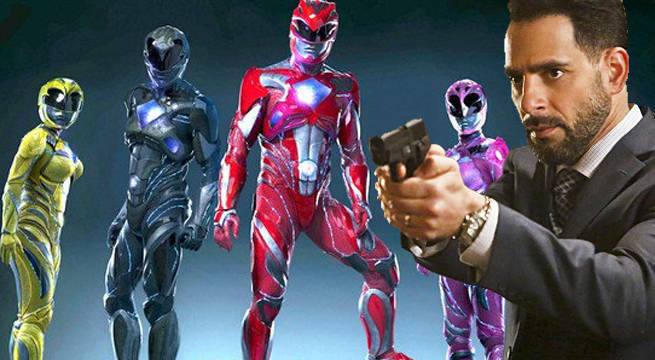 Power Rangers will hit theaters on March 24th, 2017.